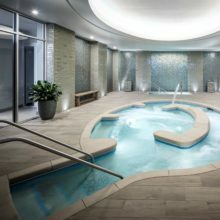 Eau Spa by Cornelia at The Ritz-Carlton, Palm Beach makes it oh-so-easy to beat the summer heat, with a selection of refreshing treatments listed on its Summer Cool Picks menu. Reserve one, two, or all and chill out even when it’s sizzling outside. Which spa treatments cool you down during the summer?